Terracom in IFSEC London 2019 with QR-Patrol and MyLoneWorkers! We are thrilled to announce that a personalized login screen for you and your clients is now available in the GOLD version of the system! 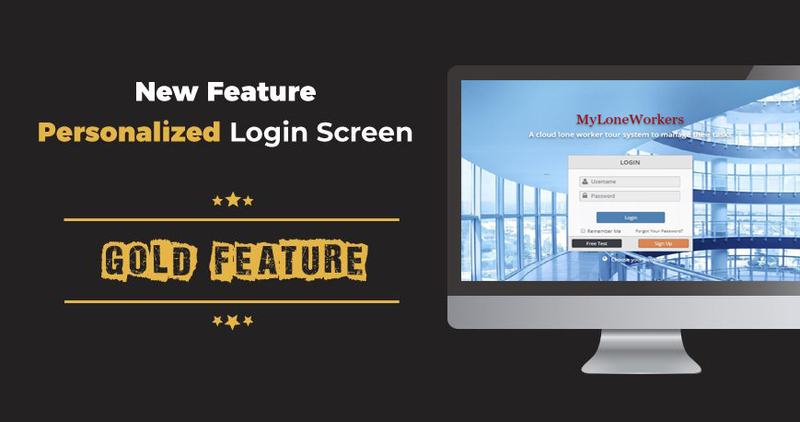 This new feature offers an improved user experience for you and your clients, by setting-up your own personalized login screen! You can implement this exciting feature by following the instructions below! Introducing the new Trail Workers feature! Trail Workers is one of the many amazing features the newest MyLoneWorkers GOLD version includes! MyLoneWorkers GOLD edition is now available! We are thrilled to announce that the GOLD version of the system is now available! Terracom participated at IFSEC 2018 Exhibition in Excel London UK! Terracom successfully participated at IFSEC 2018 exhibition that took place at 19-21 June in Excel London UK. IFSEC International is Europe's leading security event and the only global stage committed to co-creating the future of integrated security. It welcomes over 27,000 global security professionals to experience the latest technological innovations and hear from industry leaders. New: Scheduled Email Client Reports! Proving the company's work towards its clients is one of the main daily tasks and challenges Managers deal with. Clients need to be ensured that tasks on their assets are being done, and informed of the progress that takes place on their premises. New Checkpoint Last Scan Date Report added! In MyLoneWorkers, we always work to enable you manage your workers and their tasks in a productive way, with less worktime and much more automation and efficiency! Towards this direction one more report is now available on the web application, in order to help you have a better overview of your checkpoints: Checkpoint Last Scan Date Report!